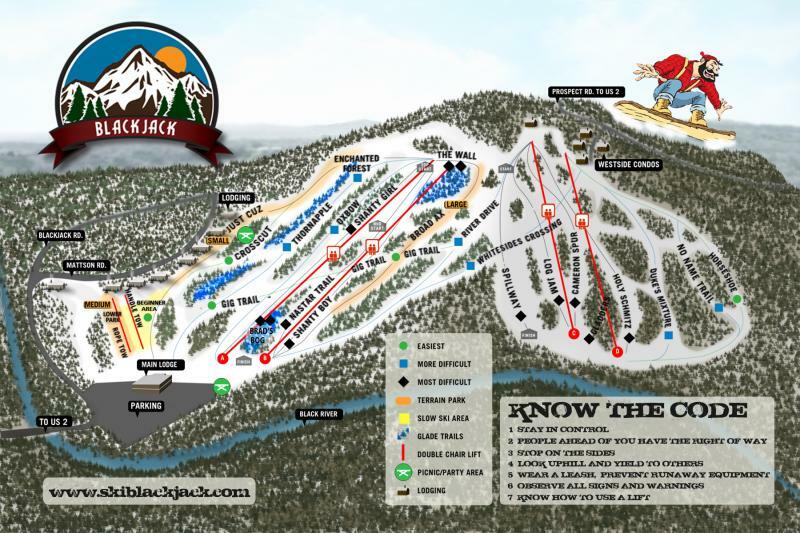 Overview and information about Blackjack Ski Resort in the Upper Peninsula of Michigan. Blackjack Mountain is just minutes away from Indianhead and Big Powderhorn Mountain. While it is the smaller of the three resorts along Hwy 2 in Big Snow Country, it is known for it's terrain parks and lively bar scene in the evening.